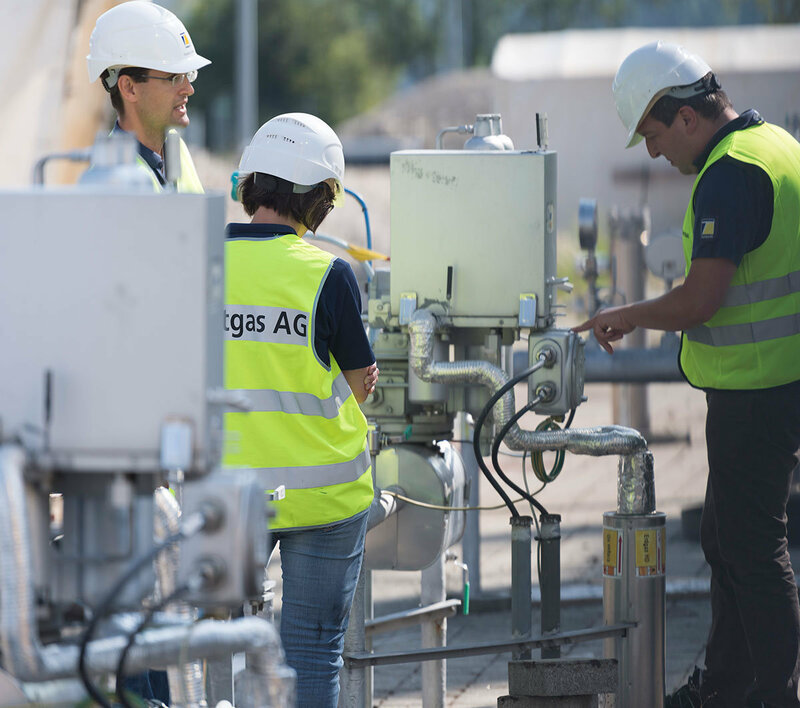 The annual transport capacity of more than 18 billion normal cubic meters of natural gas is rented out by both partners, FluxSwiss and Swissgas, for the long term. The increase in transport to Italy is a consequence of the expansion and the supply contracts upon which it is based. Furthermore, as well as the traditional route via Germany, additional natural gas has been transported via the new pipeline from France since 2001. 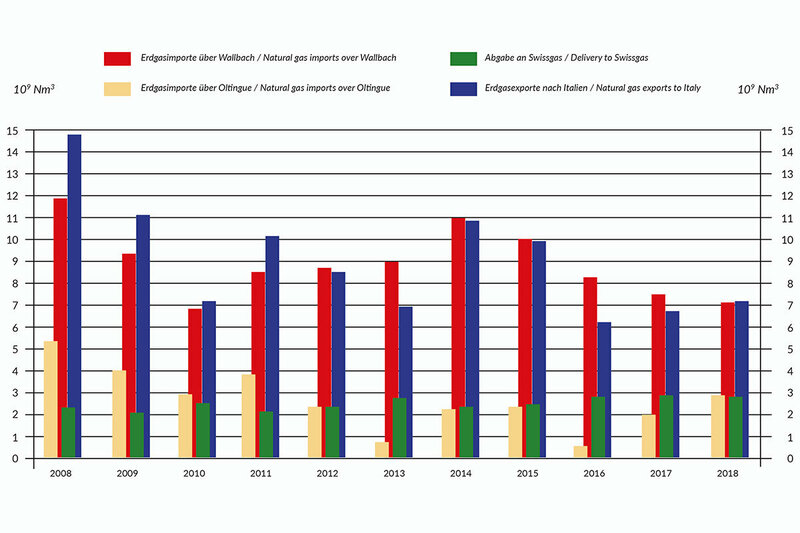 Exposures of the TRG1 pipeline (Rhine – Wallbach) within the Wallbach metering station due to corrosion; the exposures were performed on the Hügelheim – Wallbach section following ultrasonic pigging in 2017.